I studied abroad in London almost four years ago, in the spring of 2014, and I’ve thought about going back basically every day since I came home. I continually toy with the idea of moving abroad (somehow a place like California feels too far, but London feels completely doable), and I hope that one day that dream becomes a reality. This was my first visit back to the city since my student days, and it was better than I could have possibly imagined. Part of the reason why this trip was so special was because I was hardly a "tourist" at all. I stayed with my sweet friend Katie, who is in a Master's program in London and who I know from working on the 2012 Obama campaign. She lives in Battersea, an area of the city that I had never visited before, and we did very few things that were "touristy" specifically. It felt like just a long weekend in the life of someone who lives in London — because it was! Both of my former roommates from DC are currently living in the UK. Kristina is working in London while Colleen is pursuing her MBA at Oxford, and I was so happy to be able to get together with both of them while I was in town! 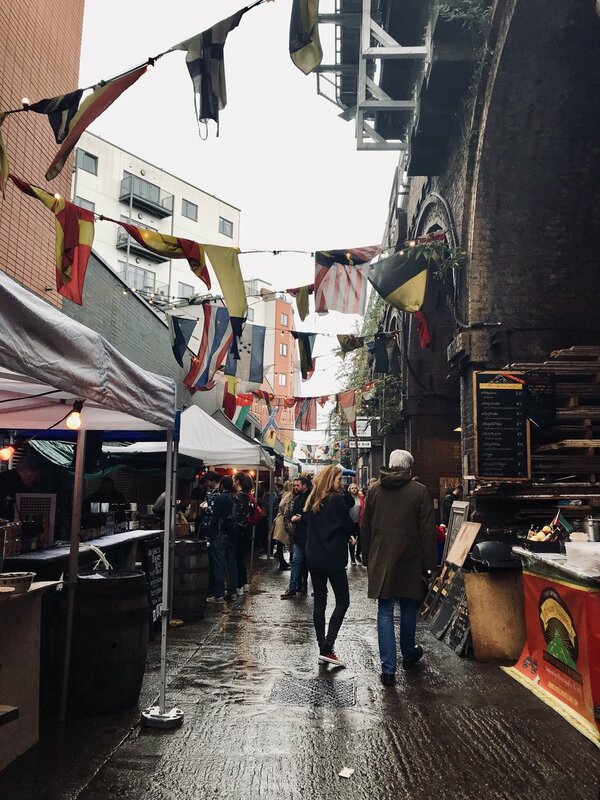 We went to Maltby Street Market on Saturday, an incredible outdoor market that I had never even heard of when I lived in London. We drank cocktails and stuffed ourselves full of delicious food before taking a walk through town. Later that night Katie and I went to a concert with some over her classmates. 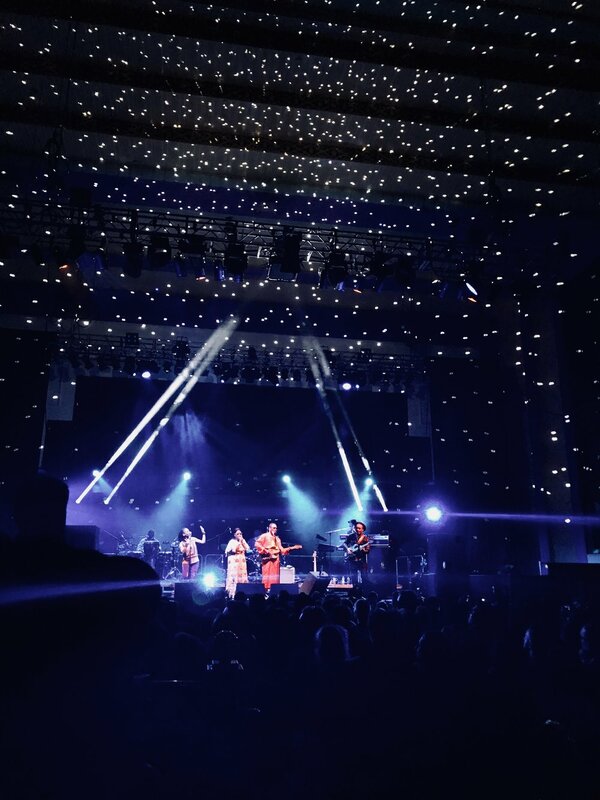 It's a duo called Amadou & Mariam; they're from Mali, and Katie and her roommate have loved them for years. I knew absolutely none of their music and still had a blast dancing the night away. It took about a million years to get back to their flat after the show, but that's just part of the adventure. I pulled an incredibly on-brand move and found a place for us to go to a spin class on Sunday morning. 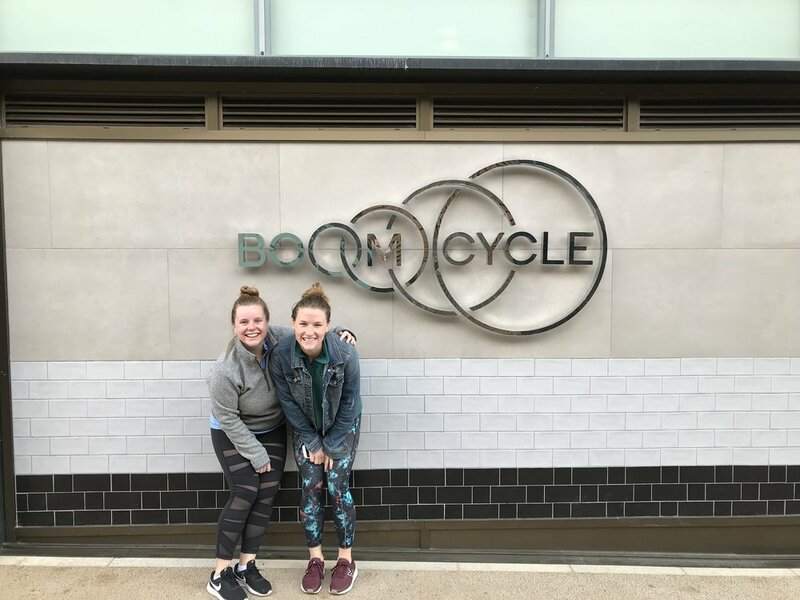 We walked through Battersea Park (right on the Thames and an absolute dream with the leaves changing) to Battersea Power Station, an area in the city that's starting to pop up with restaurants and shops and a spin studio — Boom Cycle. Our class, ironically, was taught by an American, but it was a really good workout. 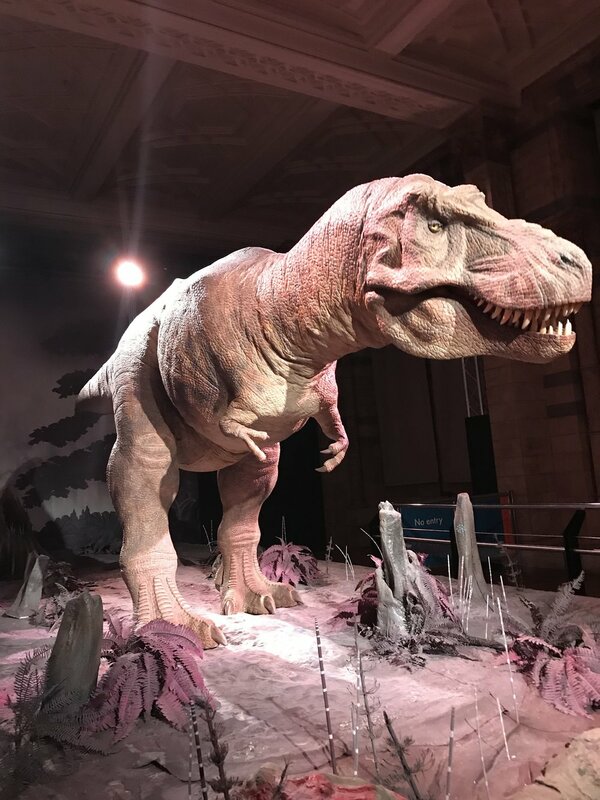 We also went to high tea at a hotel in Kensington (fine, but definitely not the best I've had) and took a walk over to the Natural History Museum, which is one of my favorite spots. I love all dinosaurs except velociraptors, of which I am irrationally afraid, so seeing their huge exhibition was very fun. Katie had to go to school on Monday (lame! ), so I spent most of my last full day in the UK on my own. I visited the National Portrait Gallery and National Gallery, spent a lot of time sitting in Trafalgar Square watching a violinist perform (he had a loop pedal and a synth and was a complete delight to watch), and found another spin class to go to, this time Psycle in Canary Wharf. I'd never been there before either, and it was such a weird part of the city! It's almost entirely business and retail with tons of finance bros walking around. Not a place I'd spend a lot of time if (when) I move. I did a little shopping and met my friend Jessica for a drink in Marylebone. We went to church together in Raleigh growing up and overlapped for a semester at Carolina. She is one of the coolest people I know. She lives in California and works for Facebook but travels to London often for work, so it was great to grab a couple hours with her! The night finished with Chinese takeout back at Katie's flat — a perfectly low key end to a perfect trip. London is my favorite. I don't have the words to describe just how the city excites and enchants me. I love that every time I'm there, I can both dive into my favorite subjects of history and discover something completely new. I also love that despite it being a huge and overwhelming city, I can always find someone or something familiar that makes me feel at home. I cannot wait to go back.